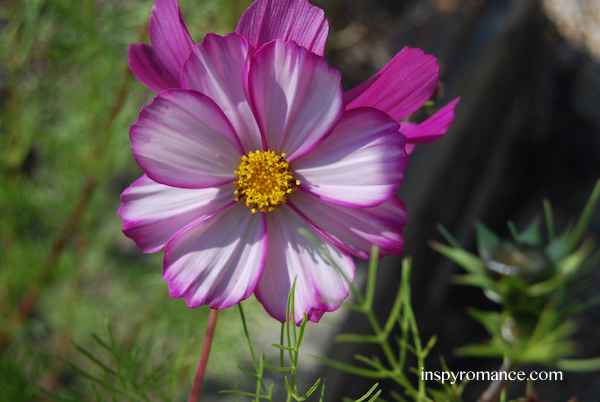 This week I’d like to introduce one of our two new bloggers here at Inspy Romance. Janet W. Ferguson is the independent author of the 4-book Southern Hearts series. The titles are Leaving Oxford, Going Up South, Tackling the Fields, and Blown Together, which releases Oct 15. Janet and her husband have two grown children, one really smart dog, and a few cats that allow them to share the space. 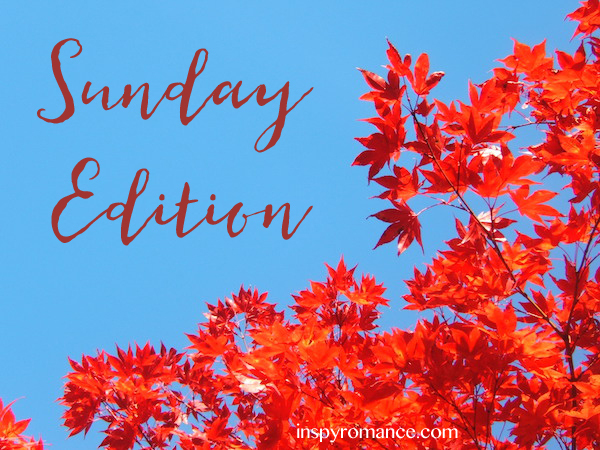 Watch for Janet’s first post on Inspy Romance next Saturday! You can find out more at Janet’s website. Lee Tobin McClains’s winner is Tammy Francis! On Monday Carol Moncado posted a Book Review of Love’s Choice by Ginger Solomon… and a #giveaway! On Friday Lindi Peterson talked about Heroes and Such… and a #giveaway! On Saturday Valerie Comer shared Two Years Later… and a #giveaway! Yes, my daughter took that photo in my kitchen a couple of years ago, right at this time of year. Thanks for the introduction, Valerie! I’m excited to be a part of Inspy Romance! I love reading Christian fiction! We’re happy to have you, Janet! Happy Canadian Thanksgiving, Valerie! Your photos of God’s beauty and bounty are inspirational. Harvest is coming to an end in the Midwest and the leaves in southern Michigan are just beginning to turn colors. Finally had a night with temperatures in the 40s. Hope you enjoy the long weekend with family and friends. Thank you for introducing Janet W. Ferguson and looking forward to her blog on Saturday. Blessings! We’ve had nothing but rain for over a week and it looks like the weather is going to simply turn colder without clearing. Oh well. 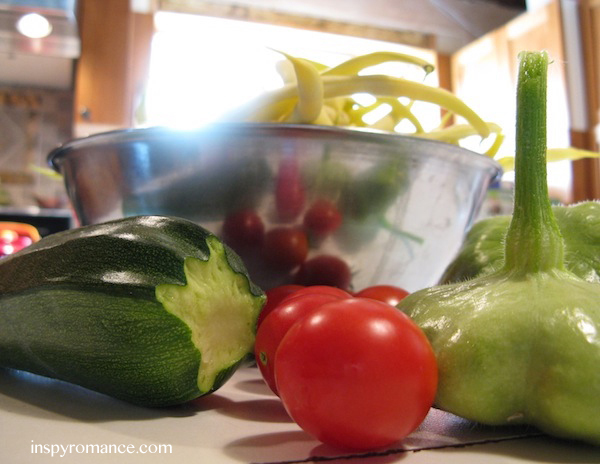 There are a few veggies I can salvage from my garden yet before that happens. Oh good inlovenfinding out about new authors. Welcome to Inspy Ms Janet. You’ll enjoy her post Saturday, Kaleen. Yes, I peeked ahead! Valerie, Thanks for the vote of confidence!! Thanks, Mimi! Have a great Sunday. Hi Mimi! So happy to meet you!! Thank you, Autumn! I look forward to hearing more about your writing! Hi Janet! I read your first book and really enjoyed it. I’m anxious to read the rest of your books when I get some time. They are definitely on my TBR list. I’m quite sure the second in your series is sitting on my Kindle waiting for me to get to it. :-D Thanks for sharing your time and talents, and good luck with your writing! I enjoyed Janet’s first book, too, and want to get to the rest! So many books… a delightful problem! Happy SONday Inspy Romance!! Looking forward to meeting Janet this week :-) Congrats Tammy on winning Lee’s giveaway! Thanks, Trixi! I’ll spend Thanksgiving tomorrow with my kids/grandgirls. Sadly hubby has to work. Waving at you, Trixi! I did not know this was Thanksgiving for y’all! Hope you have a wonderful time with family and friends! Oh, okay. Gotcha! I’m still glad you told me. I didn’t know. :) I’m at Disney with my niece and her two littles, so I’m a bit blurry-eyed, ha! And now you made me jealous….haha!! ;-) Enjoy the “girl” time!! Welcome, Janet! I look forward to reading your bog post! Thanks so much, Sally!! I hope you enjoy! I so appreciate the warm welcome, Katy :) Blessings!